Project Managers Jane Coker and Lyndal Chambers have started stage 1 of this exciting new project, generously funded by the Helen Macpherson Smith Trust. Stage 1 aims to create a proposal for a large-scale program to increase the number of Victorian community music leaders and support existing leaders, in many different settings, including necessary training programs, mentoring, and resourcing. This project goes to the heart of how CMVic goes about fulfilling it's mission. We look forward to establishing many new fruitful partnerships over the course of this first stage and into the even more exciting next stage of enacting the program. 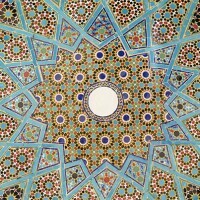 See Deb Carveth's recent blog about the project. Flinders Lane community choir (FLCC) is a new all-abilities choir project open to community groups based at Ross House, including people with disabilities, vulnerable youth and office workers in the Flinders lane precinct and CBD. FLCC will run an accessible, inclusive music program to foster a genuine sense of belonging and connection in the group. FLCC will be available to participate in City of Melbourne celebrations and local community events. This initiative is generously funded by the City of Melbourne. CMVic, in partnership with The Australian Music Association (AMA) and the Make Music Alliance coordinated what shaped to be the biggest community music event in Victoria OF ALL TIME! This was part of the international Make Music Day 2018, on June 21st, when musicians in over 120 countries and 800 cities around the world turned public spaces into music stages. Tens of thousands of amateur and professional musicians, jazz combos, bands and orchestras and MCs came out to perform in streets, parks and public places. Schools are encouraged to showcase their music programs for the public too. With French origins dating back to 1982, Fete De La Musique crossed the Atlantic 11 years ago with the debut of Make Music New York. In 2018 Australia joins the party! Make Music Day will also be happening in 2019, so look out for further details and contact us for any ideas you may have for local events! The Songs of Country and Connection project features collaborations between Aboriginal Elders, children, linguistic advisors and musicians to incorporate local Aboriginal languages into songs. The project uses music to bring people of different cultures and ages together, to deepen environmental awareness and to contribute to the process of creative language revival. In 2018, activities involving songs with Aboriginal language were integrated into events on Bunurong/Boon Wurrung Country, Wurundjeri Country and GunaiKurnai Country. Activities included singing in language at the Harmony Day Street Parade and a multicultural concert in Wonthaggi, the Phillip Island Whale Festival, a Climate Change Exhibition and Carols by the Bay in Cowes. Songs sung on Bunurong/Boon Wurrung Country contained language gifted by Aunty Fay Stewart-Muir. Deep Listening and Singing Circles associated with the launch of Aunty Joy Murphy and Lisa Kennedy’s book ‘Welcome to Country’ were facilitated at the State Library of Victoria, the NGV and ACMI. 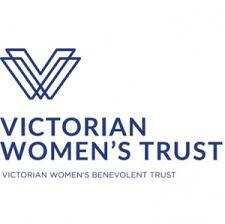 Woiwurrung language sung at events on Wurundjeri Country was gifted by Aunty Joy Murphy and Mandy Nicholson. Events held on GunaiKurnai Country included a collaboration between Aboriginal Elders and children to write and perform a Welcome to Country song for the International Stratford Sister Cities Project. A NAIDOC week performance involved a collaboration between Aboriginal children from Kurnai College and members of Boomulele, one of CMVic’s StreetSounds band. Boomulele also performed an Acknowledgment of Country song in language at the Boolarra Folk Festival. Language for songs sung on GunaiKurnai Country was gifted by Elders Aunty Doris Paton, Aunty Sandra Neilson and Aunty Lynette Bishop. The Songs of Country and Connection project is run in collaboration with The Gippsland Singers Network and is funded by The Bass Coast Shire. ​This project started in 2017 and aims to empower recently arrived and settled refugees from Assyrian Chaldean background to establish a Women's Choir. Singing together can heal and builds connection and reduces the pain of dislocation and loss from the persecution they have suffered.Singing can strengthen connection to each other and promotes the Chaldean language. This will be project supported by a partnership between Community Music Victoria and Foundation House achieved through leadership training,and providing and developing resources and opportunities for wider social connection. Community Music Victoria and singer/songwriter and community arts director Sarah Mandie have partnered with community organisations to implement an important community workshop project, including the making of local documentaries and a statewide music video clip based on the That Girl song composed by Sarah Mandie. That Girl project will strategically reach out to girls from culturally diverse communities across Melbourne and Victoria. That Girl project will strategically reach out to girls from culturally diverse communities across Melbourne and Victoria. 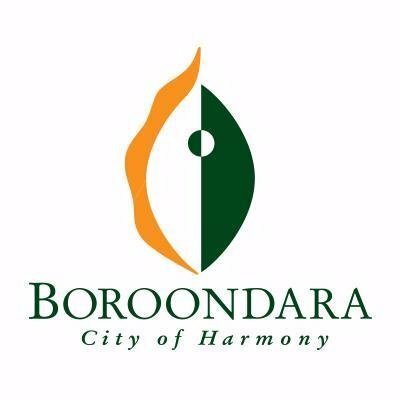 These key communities include the Indian and Bhutanese comunities of Wodonga, the diverse ethnic community of the City of Boroondara, and the indigenous and non-indigenous communities in Healesville. 'Singing from Country' is an innovative project which aims to inspire songwriters, community choirs and other community members to appreciate and celebrate Country. Many Victorians are street-wise but not land-literate. Music can communicate love for land, deepen knowledge of country and strengthen community. The project will link songwriters and community to Aboriginal knowledge-holders, naturalists and ecologists through workshops and a celebratory concert. From this will come songs that help reconnect people to place. Recordings will provide a resource for choirs and a video will document the project, which is a pilot for a statewide project. The project will run in collaboration with VACL (Victorian Aboriginal Corporation for Languages) and Connecting Country, and has received grant funding from Regional Arts Victoria. The first stage of the project was completed in 2017. 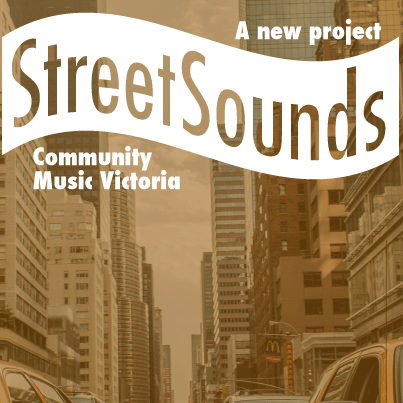 StreetSounds is a major project that resulted from the Victoria Makes Music Program. It started in December 2014 with the help of funding from the Helen Macpherson Smith Trust and the R E Ross Trust. By July 2017 the project has established over 10 new 'street' bands' in Victoria, culminating in a fabulous Street Band Festival bringing entertainment to the streets of Geelong and contributing music and fun to the Geelong After Dark Festival. Although funding from the trusts finished in November 2017, all the bands continue to meet on a regular basis. Sing English is building the foundations of a locally delivered professional development program for EAL (English as an Additional Language) teachers and multicultural playgroup leaders in Greater Shepparton, focusing on singing as a teaching tool. The main activities include: devising and delivering a training program to around 20 project leaders from the 3 EAL sectors (schools, GoTAFE and South Shepparton Community Centre), Kildonan Uniting Care’s Multicultural Playgroup and Asylum Seekers group and the broader community; gathering evaluation data on current use of song in English language teaching; and setting up a program of skills workshops for teachers. The project is running in collaboration with the Urban Lyrebirds and has received grant frunding from the Ethnic Council of Shepparton. The first set of workshops occurred in early 2017. The objective of the 4M project was to create new opportunities for individuals to become involved for the first time in group music making. Activities were focussed around both the construction and playing of marimbas which have been shown through previous activities to be hugely appealing to both men and women of all ages, including those who have had very little music playing experience in the past. The project has received grant funding from Australian Unity and ran from June 2015 to June 2016. Conductors/singing leaders are the backbone and inspirational leaders of community singing groups. The best singing Leaders have a rare skill that encompasses professional artist, social worker, leader and administrator. The ongoing development and sustainability of singing programs are constrained by the limited number of such suitably skilled facilitators. CMVic has partnered with Creativity Australia to develop a singing leader development program to run over 12 months and include intensive Master Classes, workshops and mentoring. It is the start of a plan to develop the community singing leaders so that more programs supporting disadvantage and community building can be established. The initial phase of the project ran in collaboration with Creativity Australia and received grant funding from the R E Ross Trust. Sing Yarra Ranges is a project initiated by a group of singing leaders in the Dandenongs and Yarra Ranges to establish the Yarra Ranges Singers Leaders Network. The project provided professional development workshop days for members of the network, ran a series of seasonal community singing events, and a public workshop and massed performance at the Healesville Music Festival in November 2016. Sing Yarra Ranges was funded by the Shire of Yarra Ranges through their community development grants program. Victoria Sings is an ongoing state-wide initiative designed to weave community singing into the cultural fabric of Victoria. The work is based on the knowledge that singing together is an effective way to develop and sustain social connection. Our major strategy is to nurture and support singing leadership within communities. The key outcome of this initiative has been, and will continue to be, the emergence and growth of a state-wide network of independent, self-sustaining and re-generative singing circles which are engaged with their communities, welcome newcomers, nurture their participants, are proudly diverse. The ‘Victoria Makes Music’ (VMM) program was established in 2011 to promote and encourage community-based instrumental music making throughout Victoria. The first phase of the program was funded by the Ian Potter Foundation and by the Helen Macpherson Smith Trust, and was completed in 2013. The project supported instrumental music making by promoting existing groups and leaders, by providing support and networking opportunities, and by running music leadership workshops and events for groups and individuals interested in beginning instrumental groups. The second phase of the program has been StreetSounds, a three-year project funded by the Helen Macpherson Smith Trust and the RE Ross Trust; this began in December 2014 and culminated in the StreetSounds Festival held in conjunction with Geelong After Dark in May 2017.